All the Chunks range come from human grade sources. Great for satisfying your dogs need to chew on meaty pieces. Roughly chopped whole meaty pieces are presented loose in 1kg bags, ideal for taking out exactly what you need. Mix up your own flavours and choose from Ox Tripe, Poultry Liver, Hearts, Beef, Chicken Wings and Turkey Necks. Please list your chosen flavours in the notes section at the end of the check out process. (Please note that Fish Fillet Chunks and Roast Chicken Chunks can not be included in this selection ) An excellent choice if freezer space is limited. If no flavours are given to us in the note section we will put a good mix of flavours in the box for you. Whole meat chunks of Poultry Heart from human grade sources. Great for satisfying your dogs need to chew on meaty pieces. Roughly chopped whole meaty pieces are presented loose in 2kg bags, ideal for taking out exactly what you need to use. These are simply whole meats with nothing added. You can be confident that the ingredient is simply pure fresh meat. Poultry Hearts are a good source of Vitamin B6, Phosphorous, Iron, Zinc and Taurine. Whole meat chunks of unbleached, green Tripe. Great for satisfying your dogs need to chew on meaty pieces. 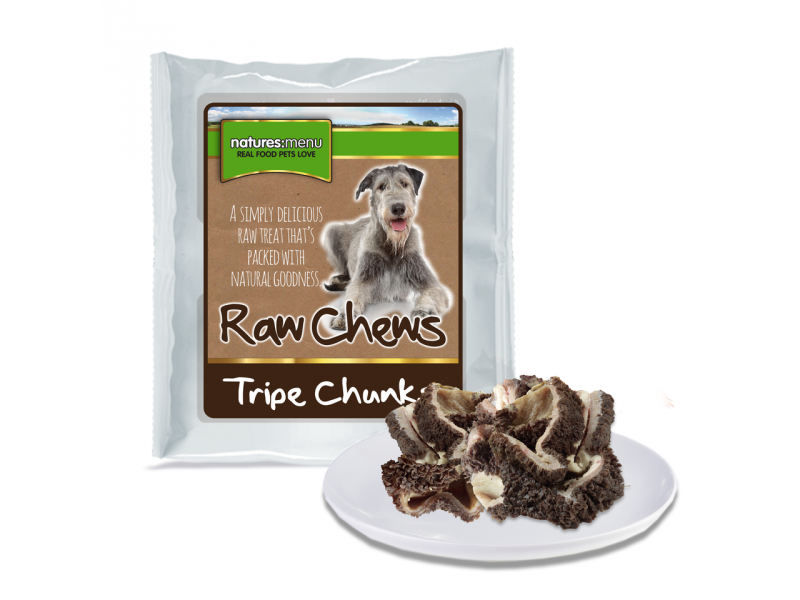 Tripe is fattier so is suitable for building and maintaining a dogs weight. Tripe is also fantastic at tempting fussy dogs. Whole meat chunks of Poultry Necks from human grade sources. Great for satisfying your dogs need to chew on meaty pieces. Roughly chopped whole meaty pieces are presented loose in 2kg bags, ideal for taking out exactly what you need to use. These are simply whole meats with nothing added. You can be confident that the ingredient is simply pure fresh meaty necks. 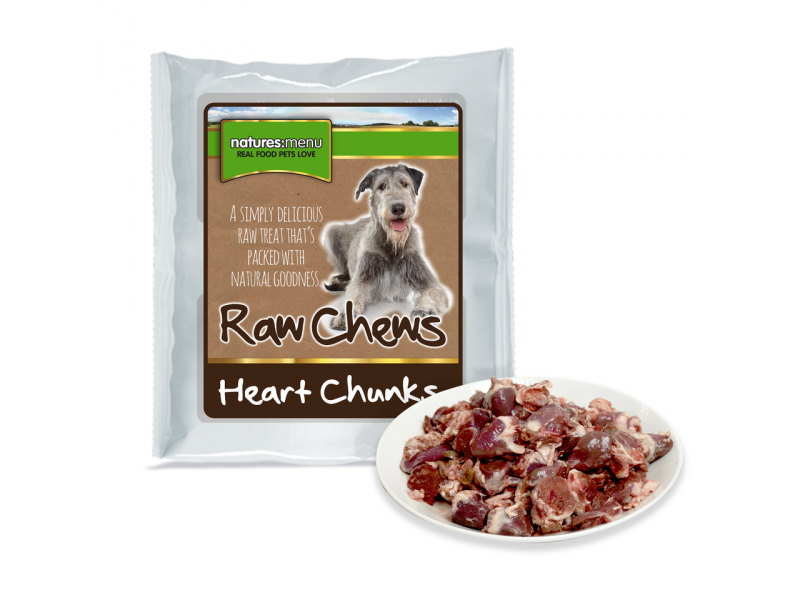 Use this product as an ingredient to make up your dogs nutritious raw meals at home. The necks are packed by weight so no guarantee can be provided on the exact number in a bag. Poultry is a delicious light meat, a firm favourite for all dogs. An easily digestible protein that contains many B vitamins and useful amounts of Iron, Zinc, Phosphorus, Selenium, Potassium and essential fatty acids. Raw meaty Poultry Necks contain natural Glucosamine, Chondroitin and a naturally correct ration of Calcium and Phosphorus too. Whole meat chunks of meaty beef from human grade sources. Great for satisfying your dogs need to chew on meaty pieces. Whole meat chunks of poultry Livers from human grade sources. Great for satisfying your dogs need to chew on meaty pieces. Roughly chopped whole meaty pieces are presented loose in 2kg bags, ideal for taking out exactly what you need to use. These are simply whole meats with nothing added. You can be confident that the ingredient is simply pure Livers. Poultry Liver is added as a good quality source of Vitamin A and Iron. 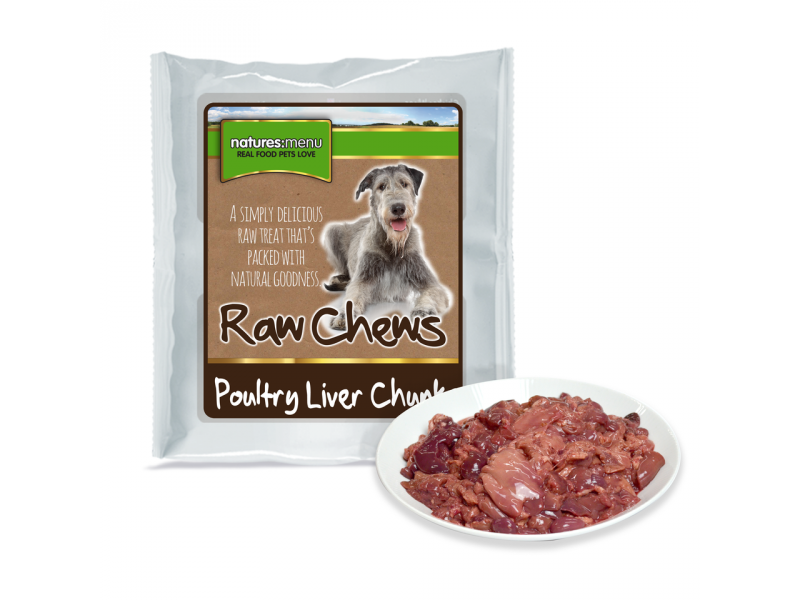 This product can also be slow cooked into handy natural nutritious liver treats for raw fed dogs. Chicken Wings from human grade sources. Great for satisfying your dogs need to chew on meaty pieces. Presented loose in 2kg bags, ideal for taking out exactly what you need to use. These are simply whole meats with nothing added. You can be confident that the ingredient is simply pure fresh raw meaty wings. Use this product as an ingredient to make up your dogs nutritious raw meals at home. The wings are packed by weight so no guarantee can be provided on the exact number in a bag. Chicken is a delicious light meat, a firm favourite for all dogs. 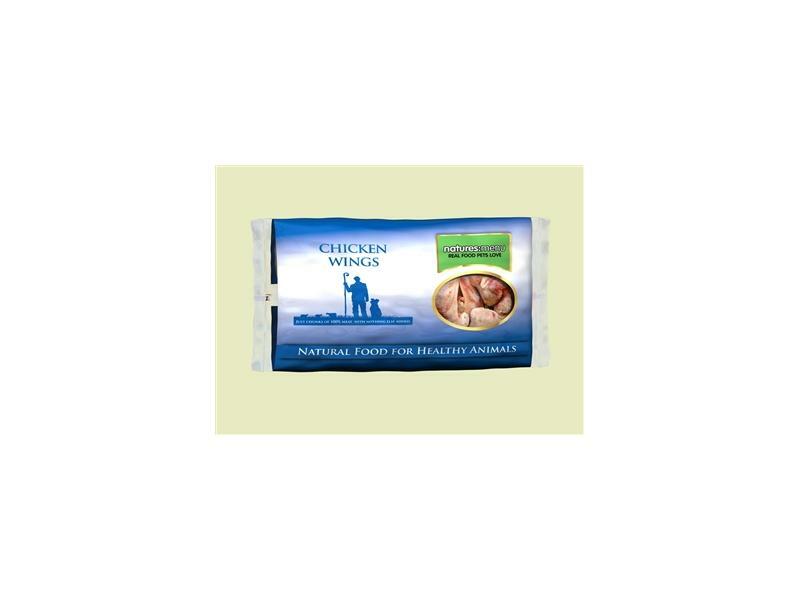 An easily digestible protein that contains many B vitamins and useful amounts of Iron, Zinc, Phosphorus, Selenium, Potassium and essential fatty acids. 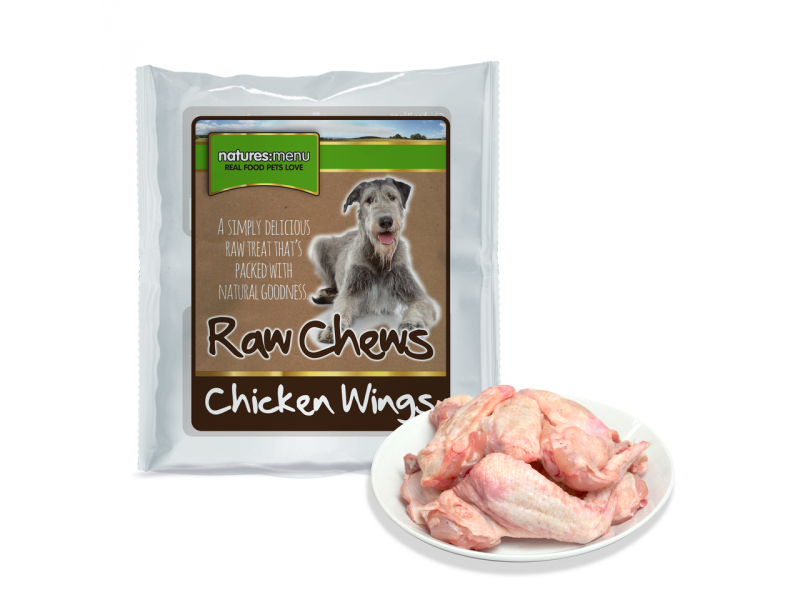 Raw meaty Chicken Necks contain natural Glucosamine, Chondroitin and a naturally correct ration of Calcium and Phosphorus too. Whole meat chunks of Poultry Breast from human grade sources. Great for satisfying your dogs need to chew on meaty pieces. Poultry is a delicious light meat, a firm favourite for all dogs. An easily digestible protein that contains many B vitamins and useful amounts of Iron, Zinc, Phosphorus, Selenium, Potassium and essential fatty acids. Whole fillets of White Fish from human grade sources. Great for satisfying your dogs need to chew on meaty pieces. Roughly chopped whole meaty pieces are presented loose in 2kg bags, ideal for taking out exactly what you need to use. These are simply whole fish with nothing added. You can be confident that the ingredient is simply pure fresh fillets. Fish is easy to digest and the nutrients are readily absorbed by the dog. It is considered by vets to be gentle on the digestion, so is great for those with a sensitive stomach. Fish is also low in fat, so great for dogs trying to control their weight. White Fish mince also contains useful essential fatty acids. Whole meat chunks of Chicken Breast from human grade sources. Great for satisfying your dogs need to chew on meaty pieces. Roughly chopped whole meaty pieces slow cooked and then presented loose in 2kg bags, ideal for taking out exactly what you need to use. These are simply whole meats with nothing added. You can be confident that the ingredient is simply pure cooked Chicken meat. The meat may take an hour or 2 to defrost, depending on the temperature of the environment they are being defrosted. Pouring the chunks into portion size may also reduce the defrosting time. 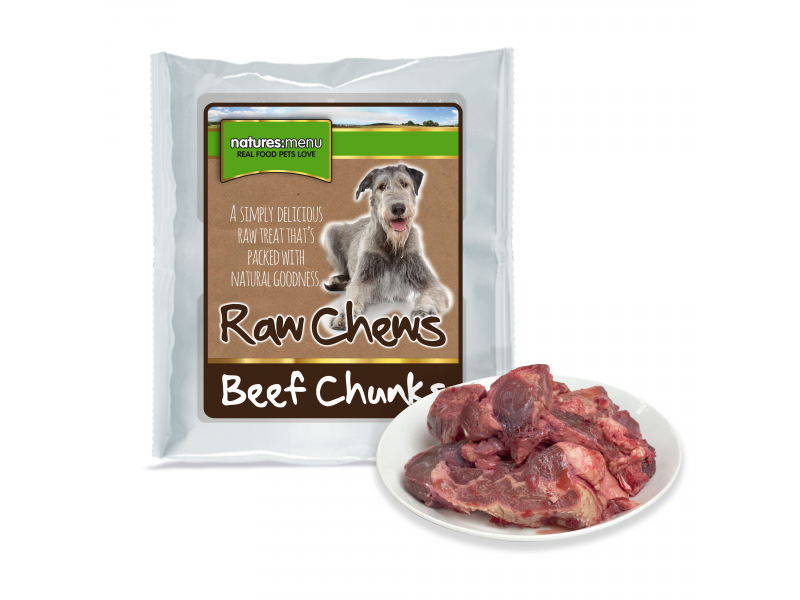 There are currently no questions for Natures Menu Frozen Chunks - be the first to ask one!